NEW YORK CITY - Today marks the 15th year of the 9/11 attack on Twin Towers of the World Trade Center. Do you know that there is this iconic photo of The Falling Man that was shot by a photo journalist? Here's how he was able to took that photo and the story behind it. 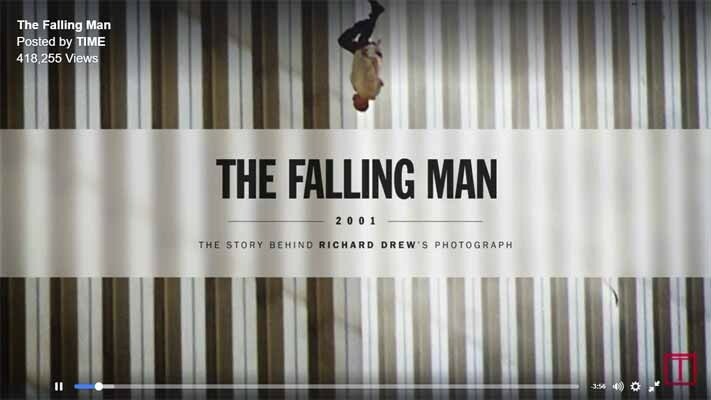 Taken by photo journalist Richard Drew during the Sepember 11, 2001 attack, this iconic falling man photo was shot so perfectly that it made headlines and got a full page photo in magazines and news papers. Should you look at it, it just seems that a man is just falling from a tall building but should you take in consideration his position, it looks like he is ready to die head-first. It is like he already accepted his fate to die on that day by his position on falling. Since it was a burst shot, you'll notice that he intended to be in that position. With all the photos taken during the 9/11 attack, this was said to be the most iconic photo of them all. Check out the video below on how this shot was taken and how it made headlines around the globe.